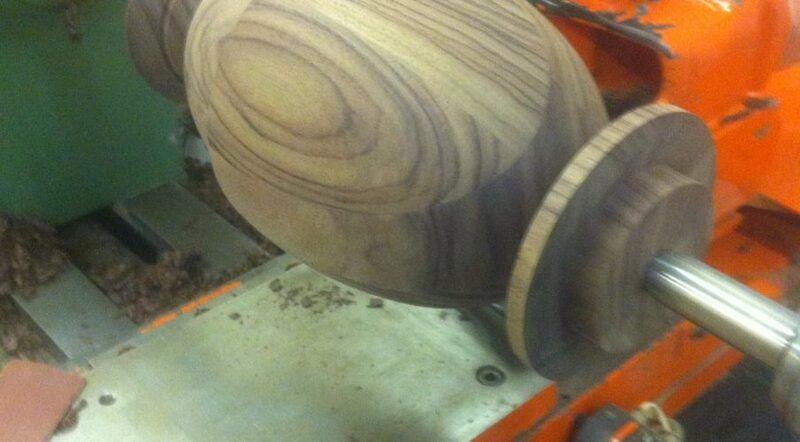 Turners and Moore offers a wide range of Large Specialist woodturning. - Very large bespoke wood turning , we have an custom adapted one of our lathes, we are able to hand turn up to 5.5 meters in length and just over 600mm diameter. 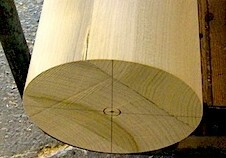 - Additionally we can 'Faceplate' hand turn sizes over 1200mm in diameter. We have had to adapt our lathe further for faceplate turnings in order to take on some very heavy weighted and large sized turnings of some of the projects we have carried out. 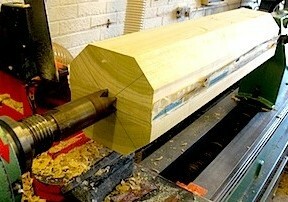 - CNC wood turning. Our CNC lathe may not be able to handle sizes as large as our 'adapted hand turning lathe' , but it can turn generous sizes with extreme accuracy. Max sizes of 2.7 meters long with a diameter of 390mm. As well as being able to provide detailed fluting/ reeding and twisting abilities. 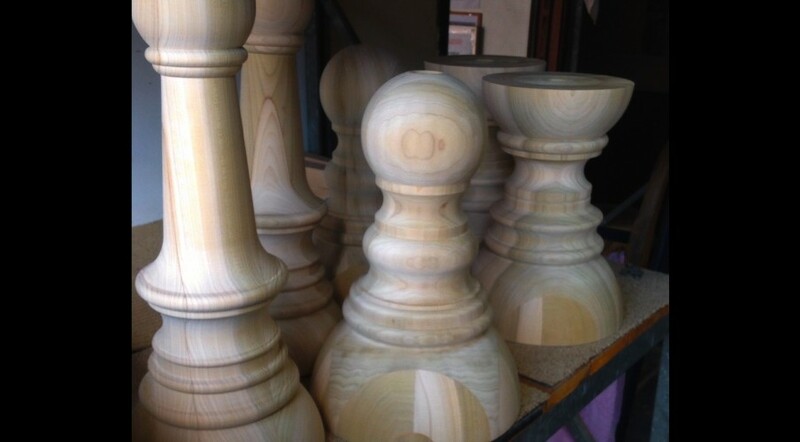 - In addition we offer as a part of our Custom woodturning service; the ability to 'bore' through long columns (long hole boring) Typically used for 'Green oak' columns, to allow for more even drying. 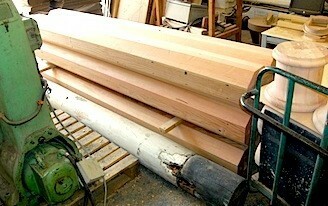 We have bored a 75mm diameter hole through 2.4 meter Green oak columns. 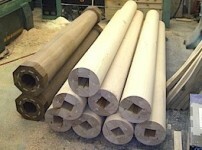 Turners and Moore's workshop has the ability to machine what ever size 'blanks' that are required for the columns for us to offer a wide range of columns. From interior columns, structural columns and decorative exterior columns, we are able to produce pretty much any type of column you require. 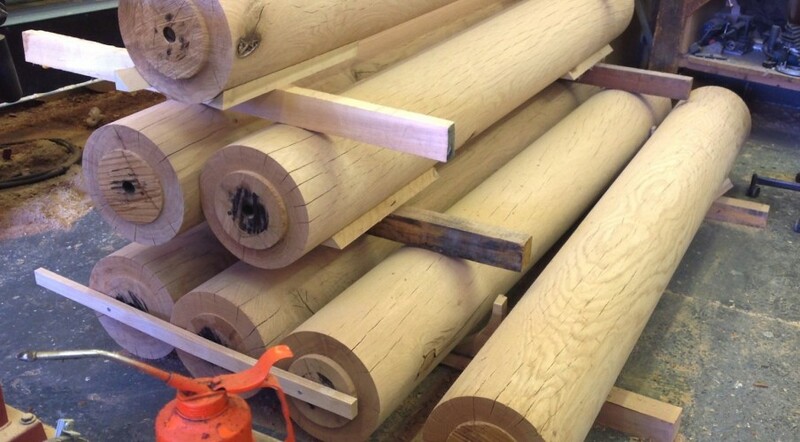 However we are more that happy for you to supply the 'blanks', as in many cases we have customers who have the ability to prepare the timber for turning. We are flexible and work with you.